Mid-June we took a trip to Kansas to visit my husband’s family. It takes about nineteen hours or so to get there so we make Memphis a midway stop for us. This time I was able to meet with a friend and her family to have dinner together. It was a great stop over. 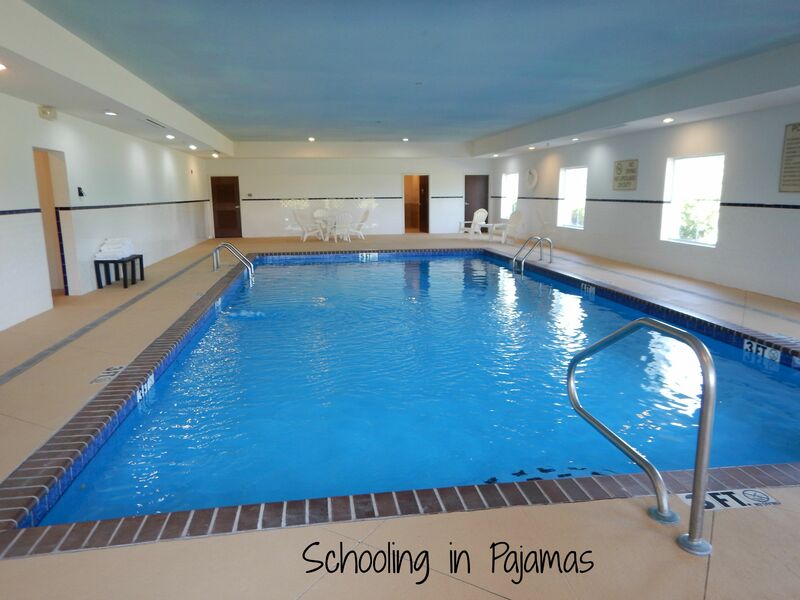 We got to the hotel early and got to go swimming in their indoor pool. 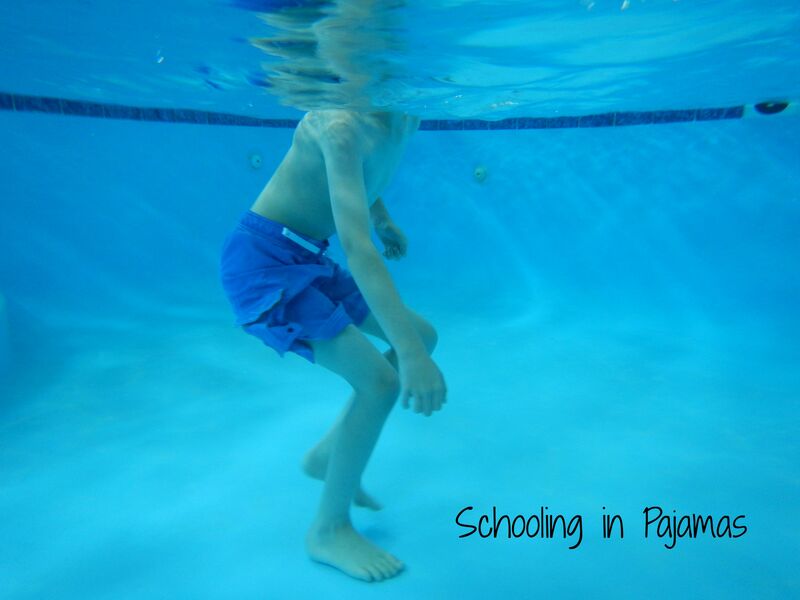 Unfortunately the pool was not heated and we shivered the whole time we were in it but it was a refreshing break to the heat outside. We didn’t do much sight-seeing while there. I had a few shocks to places that I am used to seeing as we go through that have changed so much. 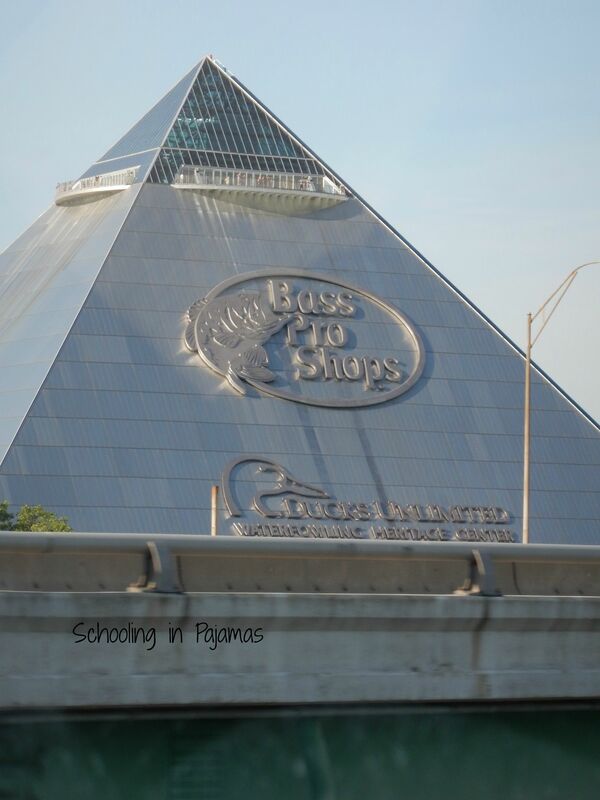 There are two things my kids always look forward to when we go through Memphis. The first one is the bridge going over the river from East Memphis to West Memphis and the second thing is the gigantic pyramid. The bridge of course is the same but not so much for the pyramid. Seeing the pyramid was certainly a shock. Last time we were through, the pyramid was shiny and awe inspiring. This time it was dull looking and has been turned into a Bass Pro Shops store. I was told that you can take an elevator to the top for $10 and look out from the very top. I was shocked at this change of events. This picture is a close up one from the bridge getting onto I-40 from Beale street area. 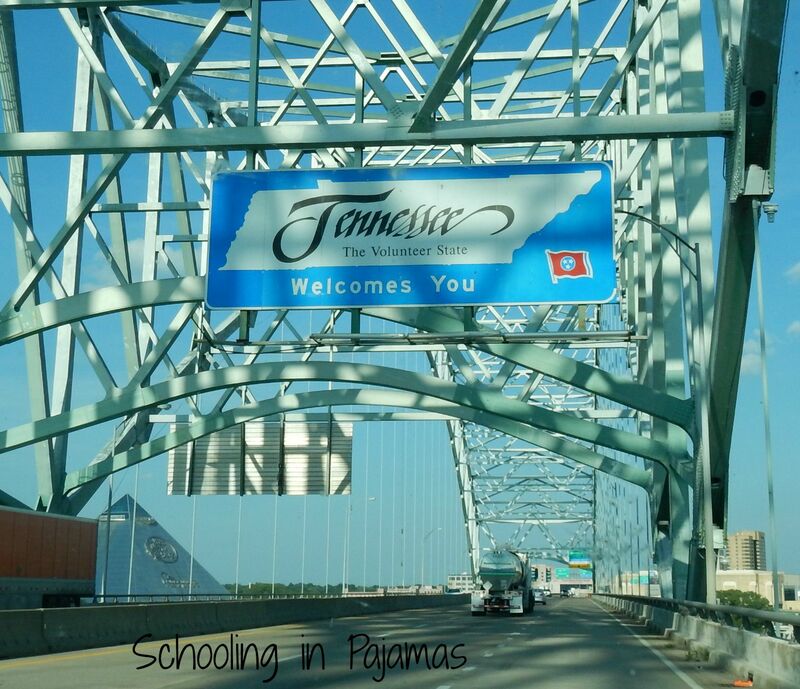 This is the bridge on I-40 going into Memphis. We usually take the I-55 bridge and have lots of pictures going across it over the years. You can see the pyramid to left side. It just does not look shiny and worth the “ohs and ahs” of the past. As usual, we stayed at a hotel on the West Memphis side. It was a new-ish hotel and was very nice. The pool was nice but cold. It had a edge on the deep in that you could sit on. My oldest didn’t join us but that was okay. The four of us had a blast and I got to use my new waterproof camera for some cool shots. My friend took us down to Beale Street for dinner and to walk around. It is pretty awesome that area is barricaded so pedestrians can walk around and not worry about cars. That does leave the problem of parking which can be as cheap as $5 for an outside lot or $10 for parking garage. 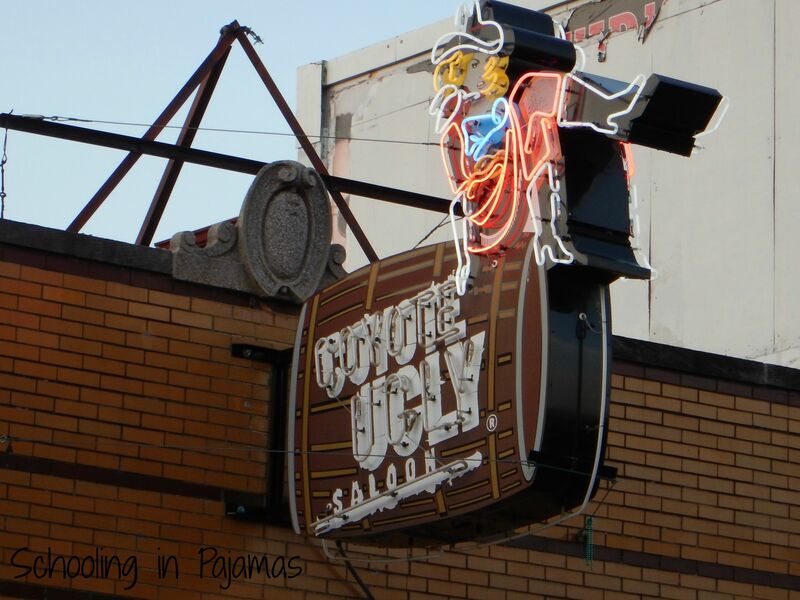 I had to take a picture of the Coyote Ugly Saloon. If you’ve watched that movie you’ll know why I had to do it. We were supposed to go to Central BBQ to eat but decided to stick around Beale Street. We ended up eating at B.B. 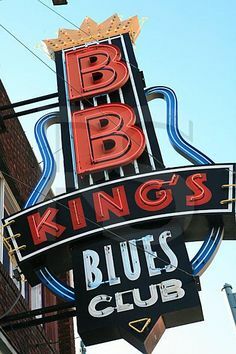 King’s Blues Club. Hubby had the ribs and said they were some of the best he had. The fried catfish I had were good and the pieces were huge. Everyone else had chicken strips that were a bit over cooked. The place is really dark inside and the grill up front gave off a smokey atmosphere that was hard to walk through. Friendly staff but I wouldn’t make a trip just to eat there. We didn’t make it in time to stop by the Peabody to watch the ducks walk the red carpet but would love to do that next time we pass through the area. We also want to make time to walk the river way next time. It’s hard to believe that we have driven through this area so much but never had the time to stop and “smell the roses” as the saying goes.